Christine Nicholls was born in 1943 and taken to Kenya after the end of World War II, in 1947. Her father and mother were teachers, at the Central (later Highlands) School, in Eldoret. The family moved to Nyeri in the early 1950s, where her parents taught at Nyeri Primary School. After being acting headmaster at Nyeri, her father, Kit (C.J.) Metcalfe became headmaster at Parklands School and Westlands School in Nairobi, before moving to a permanent post as headmaster of Mombasa Primary School in 1954. By then Christine was a pupil at the Kenya Girls’ High School in Nairobi. Her mother, Olive Metcalfe, was headmistress of the Aga Khan Girls’ School in Mombasa. Christine boarded at the Kenya High School in Nairobi. Seven years later Christine went to Oxford University, to Lady Margaret Hall. She received her MA and went on to do a doctorate at St Antony’s College. Upon receiving her D.Phil. degree, Christine became a research fellow at the Institute of Commonwealth Studies at London University. She then became a freelance researcher for the BBC Arabic programme. 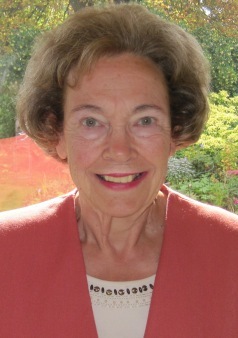 In 1977 Christine joined Oxford University Press as Assistant Editor of the Dictionary of National Biography. She progressed to become Editor, before retiring in 1995. Five volumes of the Dictionary were produced by her (the first five with Sir Edgar Williams and Lord Blake). She lives in Oxford, England and writes under the name C.S. Nicholls. The Swahili Coast (Allen & Unwin, 1971). I met Andrew when I attended the first meeting of the Biographers’ Club, which he founded. I saw what an enthusiastic, enterprising and efficient person he was and asked if he would take me on.